by Caroline J. Cederquist, M.D. Overweight children can be helped to a healthier, more satisfying life through practical lifestyle changes made by the entire family. Caroline J. Cederquist, M.D. 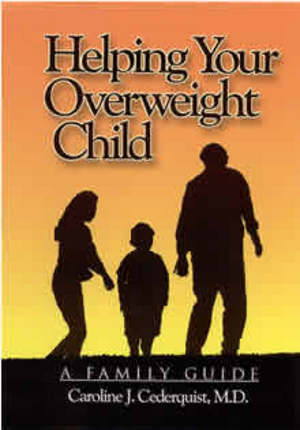 has drawn on her medical experience in successful weight management for this commonsense guide, Helping Your Overweight Child: A Family Guide. Through it family members can better understand why a child has a weight problem, and the facts about nutrition and good eating, and exercise habits. . . .